Many years have passed since we last saw Kratos take down nearly the entire Greek pantheon in his quest for vengeance and now the series has returned with quite a few shifts in dynamic. 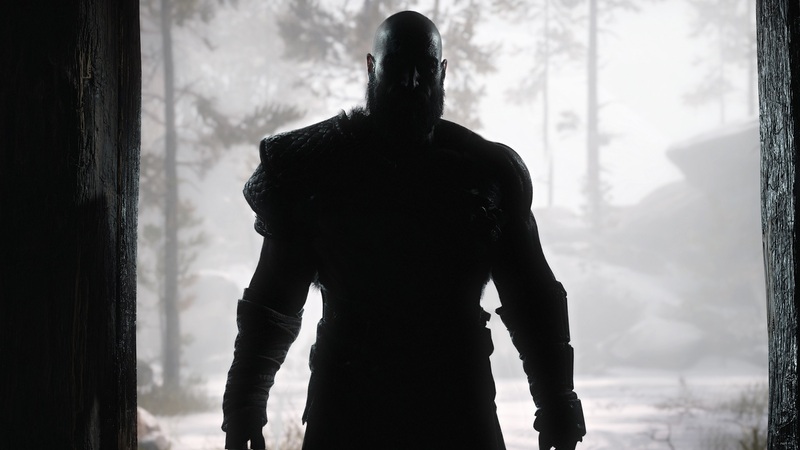 With Kratos now traveling through a realm filled with Norse mythology, wizened by age, and accompanied by a son of his own, how does this brand new God of War turn out? While eight years may have passed since God of War III, far more time has passed for Kratos as we see him now settled in a wintry wilderness where a young boy accompanies him as he chops down a marked tree only to use it as part of a funeral pyre. 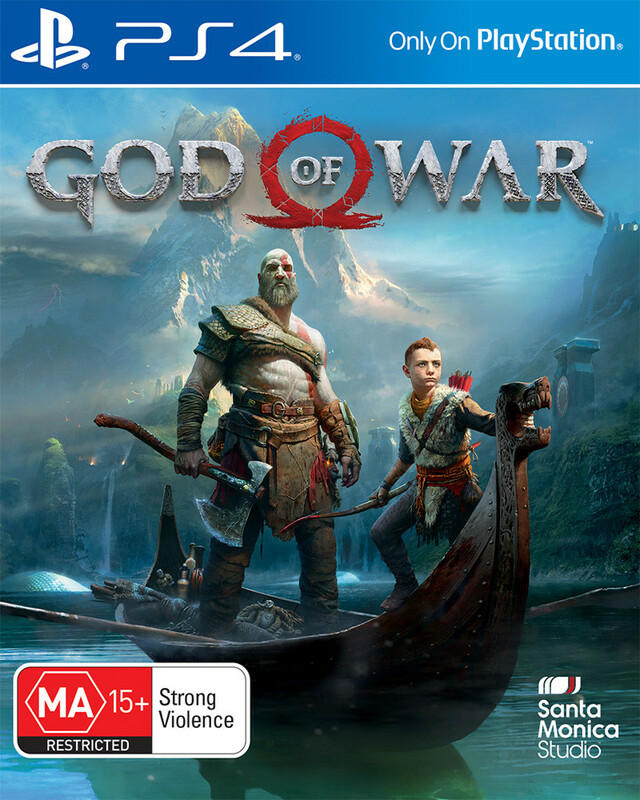 With this task completed and their next goal set, Kratos is certain that the boy, Atreus, isn’t ready for the journey but that all comes to an end when a mysterious stranger appears and forces Kratos into taking his son on a journey to fulfill his wife’s final wish. It is immediately clear from the somber beginning that the tone for God of War is far different from the rage fueled travels that fans have become familiar with. Instead we are given an incredibly touching and character developing story that touches upon a man that has learned to, at least mostly, control the anger that used to rule his life, and accept his new life and teach his young son Atreus to not follow such a path. 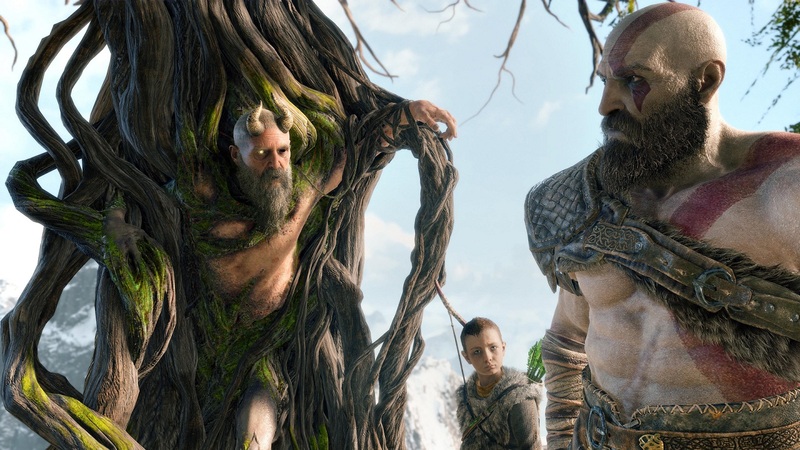 In fact, the father and son dynamic of Kratos and Atreus is the most central part of the storyline and most of the focus is spent on showing how the relationship between these two evolve as more of Kratos’ past is revealed to the young boy and the true nature behind everything comes to light as they continue their journey. Of course this means that there are plenty of darker moments but don’t worry, the game still has a bit of comedic relief in the form of some comedic side characters that appear throughout the title. There are plenty of unique twists and turns that appear throughout the story as well as additional bits of side-lore that touch upon various elements of Midgard mythology. It is also worth noting that while the game does find itself a solid pace for its storytelling, often sprinkling plenty of action sequences in-between the longer story sections that feature Kratos and Atreus talking with one another or with a side character who reveals more of the plot. This balance is a nice touch that makes God of War an easy to come back to title, especially since this story will clearly continue. The changes in tone for God of War’s storyline is far from the only change that this game has undergone as not only has the camera angle swapped to a more common over the shoulder look but the combat system has been refined and slowed down a bit compared to what fans may remember of the series. Players can still easily perform plenty of combo attacks but this time around the primary weapon happens to be the powerful Leviathan Axe as well as bare-knuckle brawling while Kratos uses a shield or simply dodges incoming attacks to defend himself. The Leviathan Axe allows players to chain together various light and heavy attacks and can also be used as a long range weapon by throwing it at foes. Thanks to its boomerang style of being able to be recalled at will, the weapon can even be chained together with his unarmed combos allowing a punching combo to swap into an axe one by recalling the axe and even striking your target at the same time. As for the defense aspect, Kratos’ shield can withstand most attacks and can be used to parry incoming blows to leave foes open for counterattacks when timed correctly. The Leviathan Axe can be upgraded in various ways through the use of XP gained from foes and collectibles as well as using “Hacksilver” (in-game currency) to power up other elements of Kratos’ equipment. This gives the game some light RPG elements as players will be able to unlock additional combo strikes and equip various runes to the axe that allow for special attacks to be performed with cooldowns. This also carries into the fact that players can purchase or find various pieces of armor for both Kratos and Atreus to raise their stats and unlock additional abilities. Continuing on with the combat system, players will find that the game has done away with mostly all of the quick time events that happened to plague the original series. Instead each foe will now have a stamina bar of sorts as well as their main health bar. Strikes with the axe deal damage primarily to an opponent’s health while unarmed combat depletes their stamina. A stunned foe can then be grabbed with a simple press of R3 and either executed if they are weak enough or thrown into other foes. 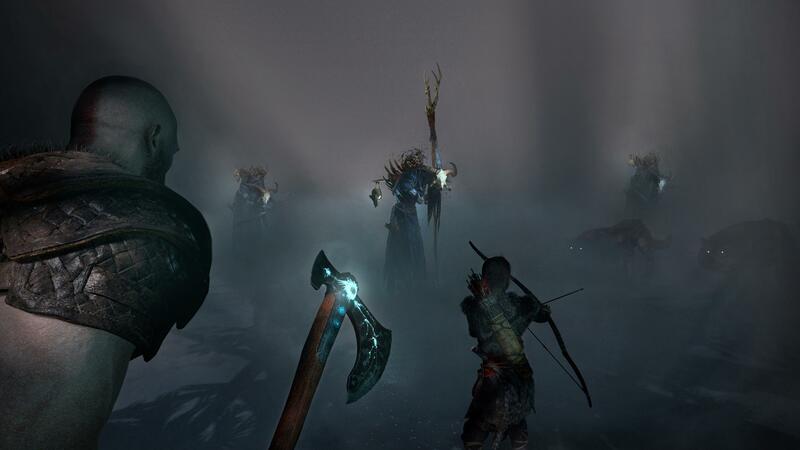 Another element of combat happens to be Atreus as he can be ordered to fire arrows into enemies. Foes can be tripped up by arrows and are heavily stunned when hit by them, allowing for easier access to the brutal takedowns fans know and love, even if they can be a bit repetitive at times. 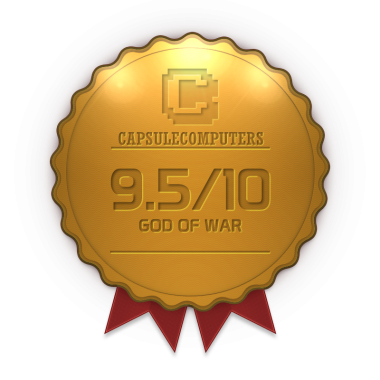 When it comes to level exploration and puzzle solving, God of War takes another break away from the series standard. 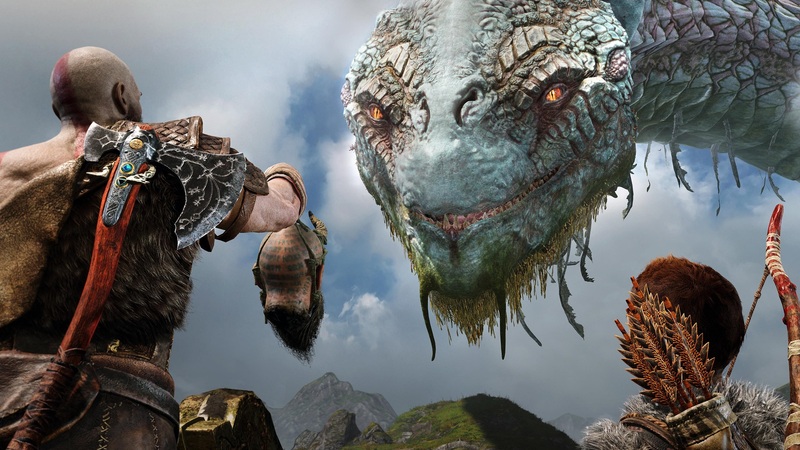 The level system in God of War happens to be far more open than previous entries and while it is not “open world” there happens to be plenty of content hidden away to keep players on their toes. There are numerous hidden treasures, pieces of lore, various side-quests to take part in, and even optional boss fights available in these levels that players can often find themselves returning back to once they get far enough in the game. 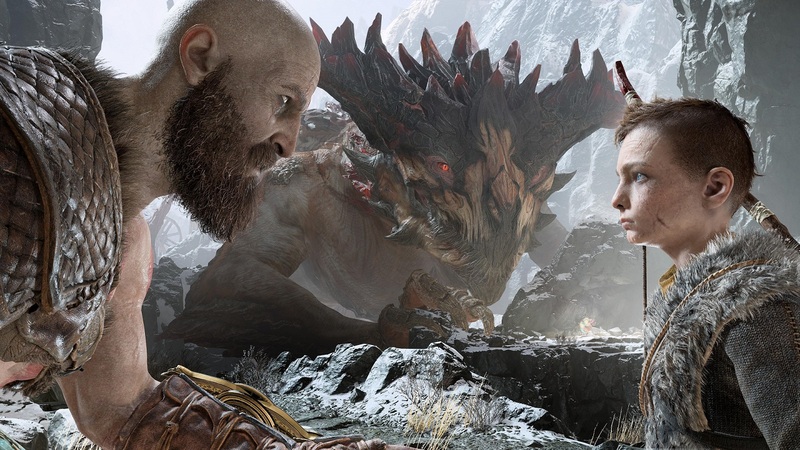 This level of content makes God of War a jam packed game with plenty of content to enjoy and thanks to the puzzle solving mechanics that make use of the Leviathan Axe’s ability to freeze objects and the use of Atreus in solving puzzles intuitively, traveling these environments and solving their mysteries always feels rewarding. 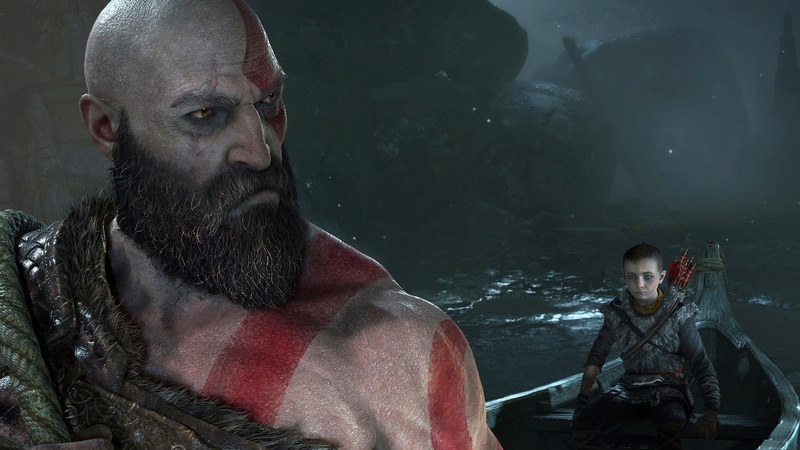 Combine this with a game that feels satisfyingly challenging on normal difficulty, and offers even harder options for those who want to challenge themselves, and it is clear that Kratos hasn’t lost a step with age. Within seconds of beginning the game it will become immediately clear to anyone playing the game that Santa Monica Studios was willing to push the PlayStation 4 as far as they could to creating an incredible looking game. The amount of detail put into almost every little element, be it the gorgeous looking environments to the character models, is gorgeous looking and filled with life. The amount of small touches that any other title would easily overlook have been applied here with shocking detail. Battles with even basic enemies can feature level destruction and rarely feel boring despite an initially slow combat system but when this game wants to dial up the action, it really pushes thing to new heights in ways you’ll have to see to believe. As far as the voice work goes, Kratos does have a new voice actor this time around but it fits his new demeanor while the rest of the characters also feature fitting voice actors that work well with the tone this game takes. The soundtrack is filled with stellar sounding pieces of music that mix together great orchestral pieces with singing that sounds like it mimics the Norse languages of old. God of War may be a departure from many elements that the original series featured, but this departure has left it open to grow into so much more. The bond and character interactions between Kratos and Atreus weave flawlessly into the new Norse mythology that is featured this time around and the combat mechanics that make use of the new Leviathan Axe as well as Artreus’ actions make for a fun new system that may take a bit to get used to but ends up being just as enjoyable and enticing as before, making God of War a game that has changed but almost entirely for the better. While Kratos may have aged God of War symbolizes just how different a game can be from what fans have known and still surpass all expectations.